Thai cuisine creates a harmonious blend between spicy hot and comparatively bland ingredients from age-old Eastern and relatively new Western foods. Featuring both outstanding traditional recipes and cutting-edge crowd-pleasers such as Spicy Fried Rice Sticks, Salmon Toast, Chicken Satay, and Thai Crab Cakes, The Everything Thai Cookbook guides you through preparing meals as good as you'd find in your favorite Thai restaurant. The Everything Thai Cookbook is perfect for both vegetarians and meat-eaters, offering an eclectic range of spices, flavors, and aromas. 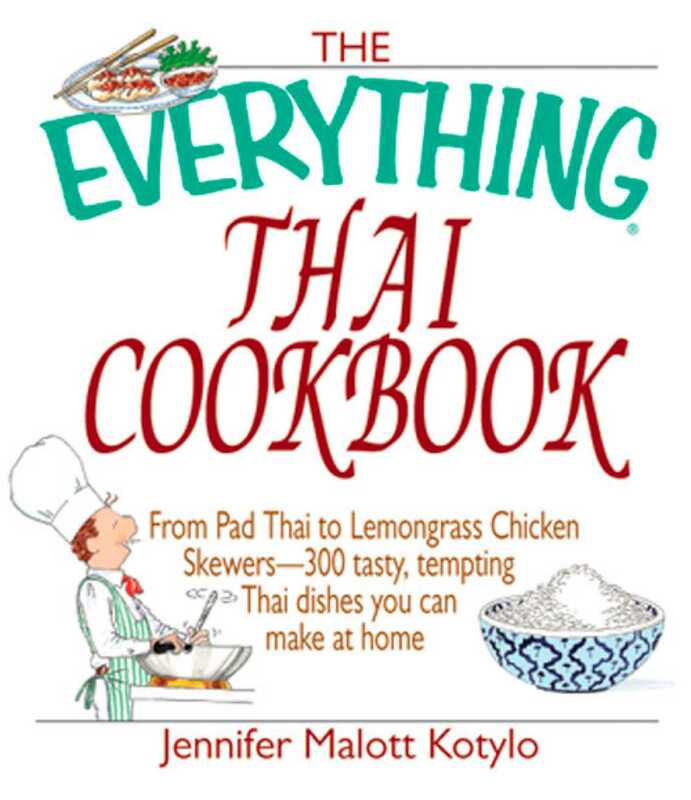 Whether you want to prepare a meal for one, or an entire feast, The Everything Thai Cookbook will have you serving up tasty fare to tempt even the most critical food connoisseur.